I recently shared with you places to visit in Cornwall during the Autumn months and I’m back with my second post in this series. 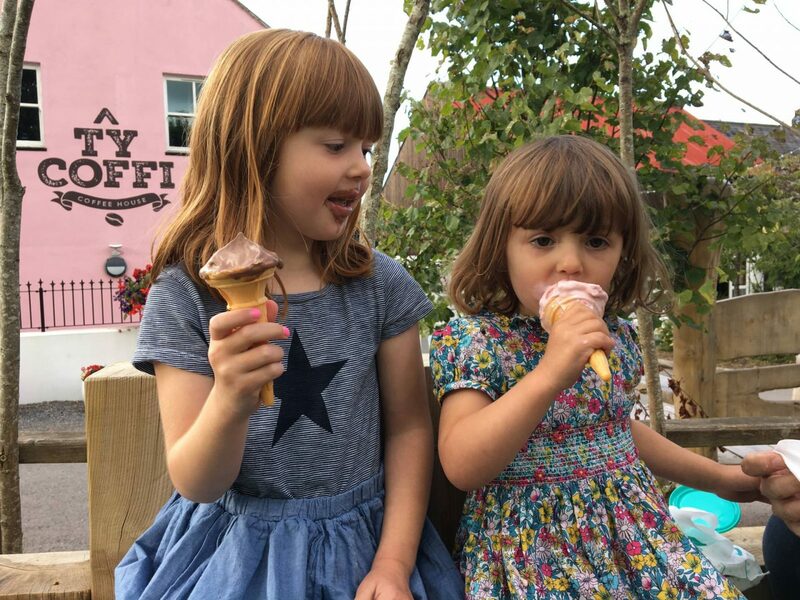 Today I’m sharing with you places in Wales to visit and stay. We love Wales and have been to Pembrokeshire every year since we had Alice. It’s such a beautiful part of the country and we always feel at home there. Here are a few places to visit even on an Autumn day. Saundersfoot is one of my favourite places to visit, its a lovely small seaside resort not far from Tenby. It has more character and is a lot more compact than Tenby. The beach is really accessible and wide enough to not feel too busy. There is ample parking and even on a busy day we’ve always managed to get a space. They have the best fish and chips restaurant right on the beach and we always make a trip there. The main attraction is the beach, but it is also full of lovely shops and cafes to make it worth a trip. 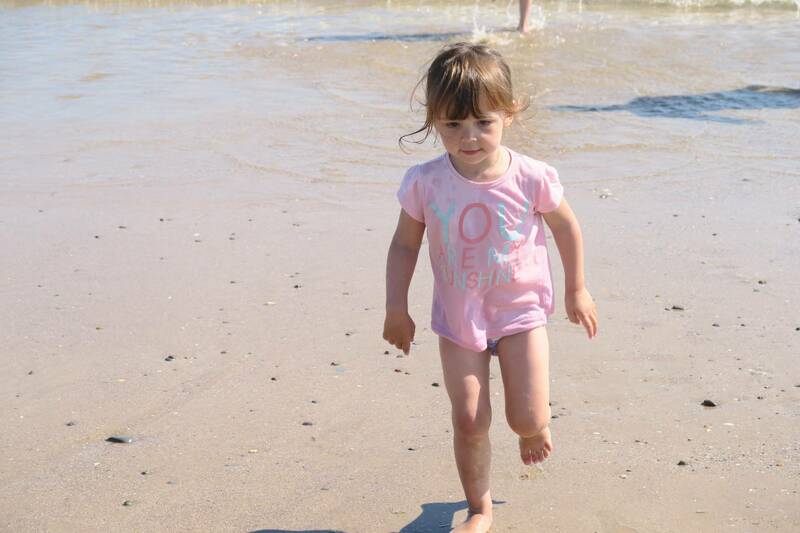 We love to visit the beach even in the colder months, in fact I think we might love it even more. 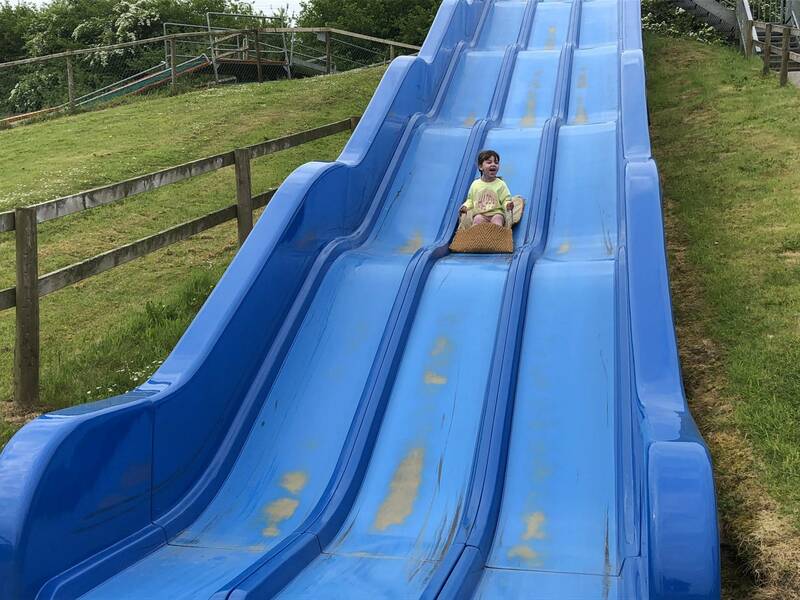 I remember the first time we went to Folly Farm and Alice was 10 months old, I was expecting a small little farm and I was massively impressed when we arrived to see it was so much more. 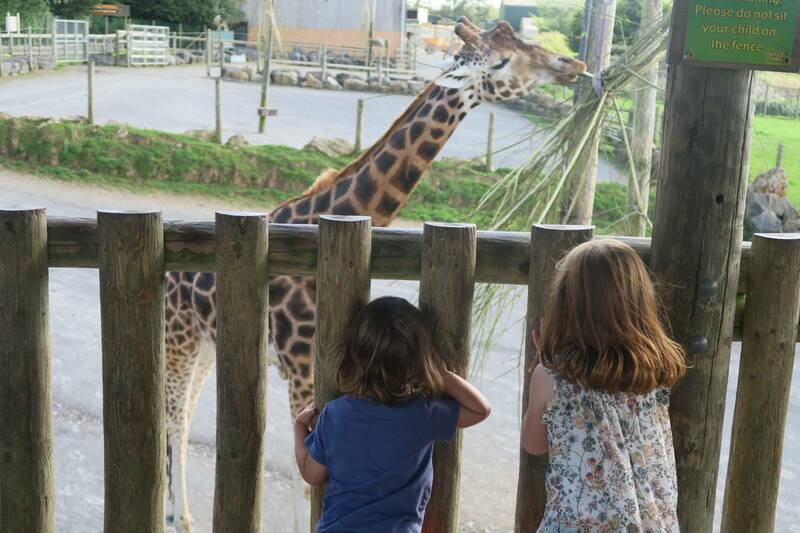 We’ve visited Folly Farm every year since and we always have a great day out. There are giraffes, penguins and tigers to see. 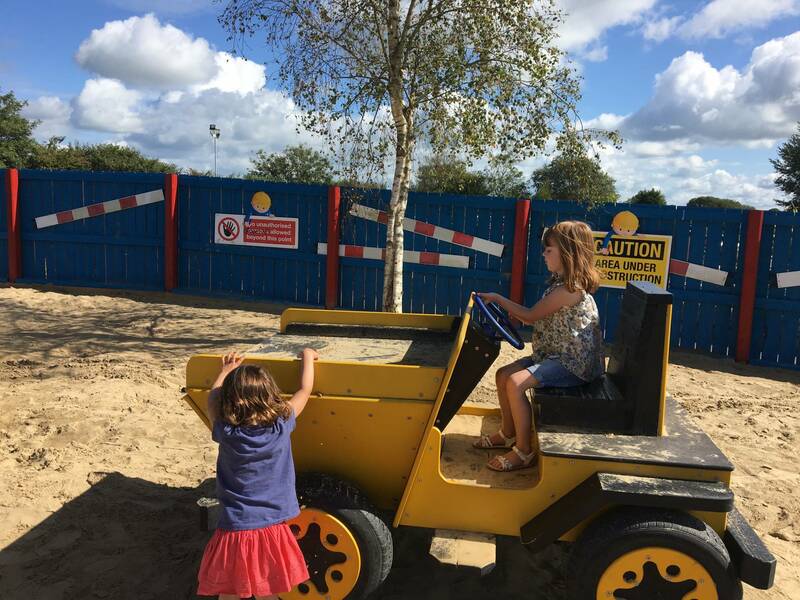 Lots of play areas as you make your way around and the biggest sandpit with diggers in. You can take a picnic and there is lots of places to sit inside in the warm. If the weather takes a turn for the worse, then don’t worry they have a big indoor soft play and an indoor fun fair. There is just as much to indoors as there is outside. It’s a great day out all year round. 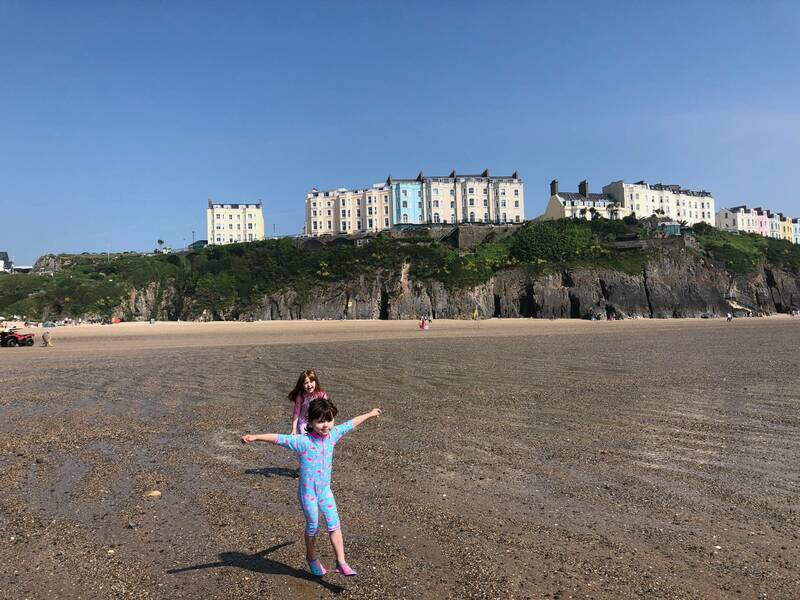 Tenby holds a lot of memories for us as a family, its the beach that I first went on as a baby and it’s also the first beach that both my girls went on. We always have a lovely day out whenever we visit Tenby. Tenby town has lots of shops, with old fashioned sweet shops and cute cafes for that all important hot chocolate. We love to take a morning to wander around, visit a cafe and enjoy the atmosphere. Tenby beach is also one of our favourites, it’s a bit steep to get down to, but once you’re there it is worth it. The sand is lovely, the sea is beautiful and there is nothing better than looking around and seeing all the colourful houses. 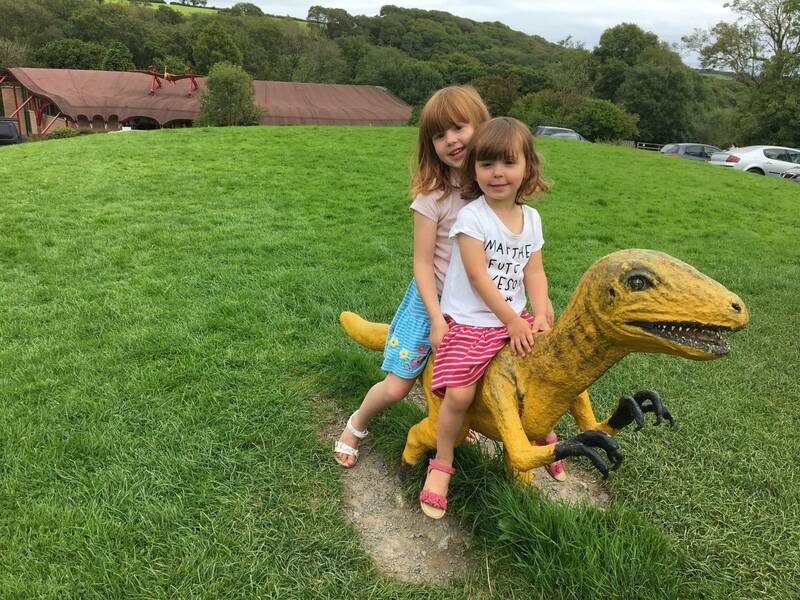 We’ve visited the Dinosaur Park twice and had 2 lovely days out. Whilst there is a side of it that is all about the dinosaurs and safari trip. There is a whole park full of fun things to do and my girls love it there. 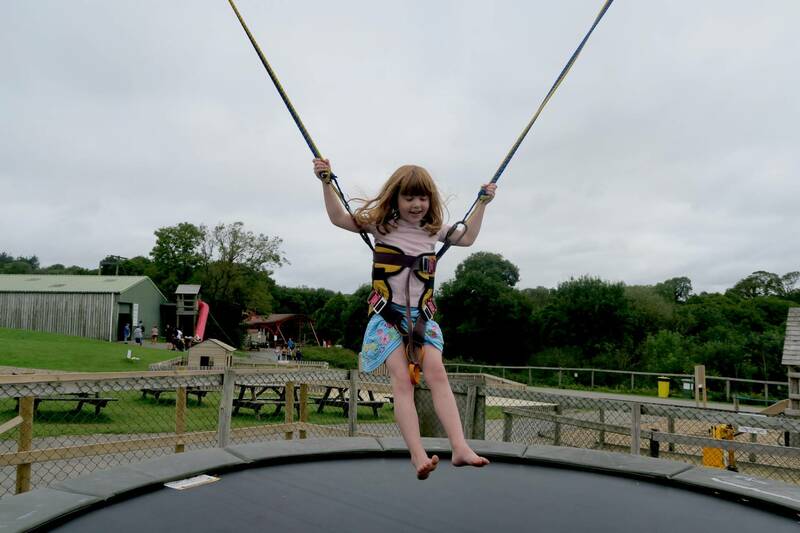 There are a few rides that remind me of my own childhood and it has Alice’s favourite, the trampoline in the harness. It has a small soft play area that you can go to if you need warming up. But I would definitely only visit on a dry crisp Autumn day, as it is mostly all outdoors. As I said before we love to visit the beach in the colder months, just as much as the summer months. Freshwater Bay is a beautiful place, there is not much else there expect for a beach, toilets and an ice cream van in the car park. But what it does have that we love is the rock pools. 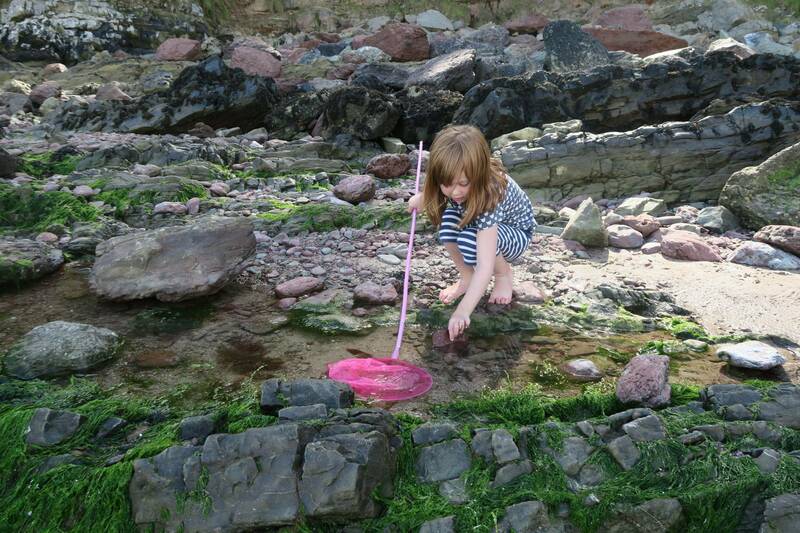 The girls love to take their nets and go rock pooling, its something that I did as a child and love to do it with them. It’s perfect for the Autumn months, with your wellies on and take a long a flask of hot chocolate. Freshwater Bay was also used in the Harry Potter film, for all you fans out there. When it comes to places to stay, you are spoiled for choice in terms of location. There are lots of beautiful places to stay in Wales and we are definitely a family that choose self catering accommodation for our holidays. Original Cottages have lots of lovely places to stay in some of my favourite parts of Wales. 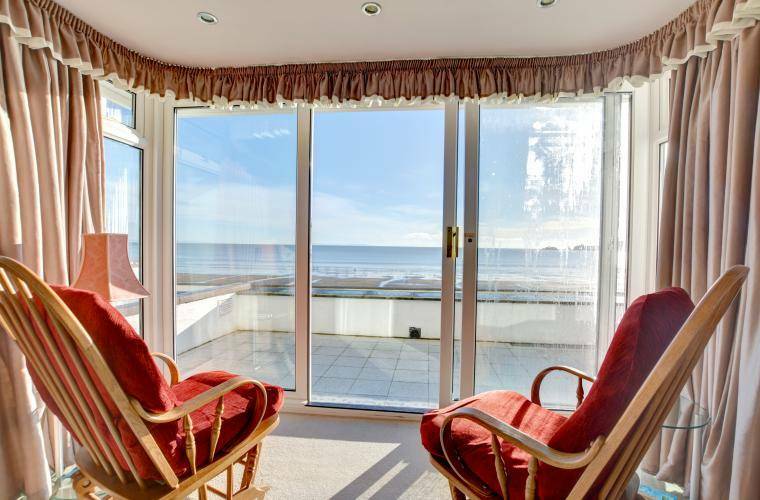 Saundersfoot being one of them and look at the view from this lovely place to stay called, 2 Strandways Court. With this beautiful view of the gorgeous beach, I wouldn’t want to leave. 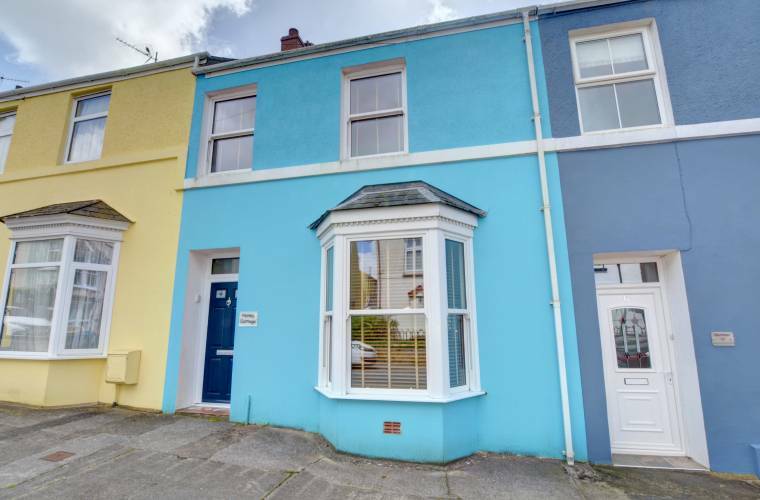 It would be a dream to stay in one of the pretty houses in Tenby and Honey Cottage which is right in the heart of Tenby looks perfect. My girls would love it and they have bunk beds for them too, a definite win. Looking at all these beautiful places to stay I’m tempted to book a last minute break at half term. Have you visited Wales before, where is your favourite place to visit? Disclosure: This is a collaborative post with Original Cottages. I haven’t visited Wales since I was a child, but I remember it being beautiful and I would love to go back. I also remember it often being rainy ( I think I used to go at Easter) so I would guess there are lots of inside places to go. I haven’t been to Wales for many years and would love to go back. These are some great recommendations.